As an entrepreneur, you wear all the hats of a business, even when it’s not necessarily your strong suit. If you’re not sure where to start with bookkeeping and financial management, here are some recommendations for best practices, tools and resources for financial management of large or small companies in any industry. Separate your personal expenses from your business expenses. Have separate bank accounts, credit cards and accounting systems to assist with keeping a clear picture of your company financial goals and expenses. It will also make it cleaner when you’re preparing for your IRS taxes down the road. Candy Messner, president and CEO of Affordable Bookkeeping and Payroll Services, Inc., said one of the first steps to effective financial management is to hire someone to set up the initial systems and procedures to eliminate confusion and accounting disasters down the line. She understands many people can’t afford to hire a full-time bookkeeper initially, but a consultation with a trained professional will eliminate the headaches, frustrations and potential IRS audits when your accounting system is set up properly the first time. Another tip she suggests is to find small business credit cards which allow you to download your expenses into QuickBooks. Otherwise, you will find yourself adding the extra step of correcting transactions to accurately reflect the proper information. For those who prefer hands-on money management, Mint.com is a free online financial management tool that downloads your banking and credit card transactions into user-defined categories, and is a great tool for busy solo entrepreneurs to manage their personal expenses separately from their business expenses. Mint also offers saving and budgeting tools. Lemon.com stores copies of your receipts and credit card information securely online, allowing users to make easy online purchases and create expense analysis reports. However, neither Mint nor Lemon is recommended for large-scale business expense management, as they are much better suited to a very small businesses with minimal expenses to track. Little mistakes in credit card statement tracking can affect your business, and technology tools help mitigate the risks. Recently, American Express came out with a service for small businesses called Receipt Match. Take a picture of the receipt, upload it, and match to your credit card statement. Whatever online tracking program you use, make sure that all aspects of the transaction are recorded, because the IRS always wants detailed information. Remember to keep your hard copy receipts in case you’re audited. Alaia Williams, owner of One Organized Business, a company that organizes clients with fewer than 10 employees, notes that credit cards can be used for business expenses to rack up points and as a means to pay for things. However, just like with personal credit cards, avoid making purchases that you’re unable to pay off in a timely manner. Williams has found FreshBooks an effective tool for her client’s financial management and her own business, as well. This site boasts five million users and handles invoicing for clients. QuickBooks is still the industry leader for tracking business expenses with professional bookkeepers, but many banking institutions will provide detailed information on your spending details on a less formal basis if you’re a smaller entity just starting out. Check with your financial institution to learn what services they offer small business owners, and see if this route will work for you if you can’t afford to hire outside experts. 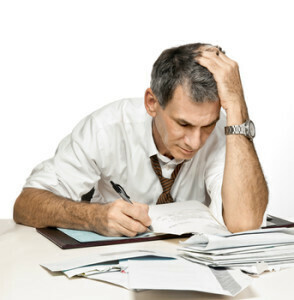 Paying bills doesn’t have to be overwhelming. Bill.com allows your consultant, or bookkeeper, to make bill payments on your behalf without having to directly access your bank account, providing another layer of security. Waveapps.com is a free online accounting service with more than 600,000 customers. It manages back-end business payroll tasks and was created by entrepreneurs, for entrepreneurs, with a clear understanding of the financial management tools a startup needs. Concur.com is a favorite among more established small businesses. It provides a place for the user to enter the basic details of the meeting or travel expense, including date, location, activity, vendor and amount. However, it also allows you to designate what the purpose the meeting or activity was (which the IRS requires), who else was there with you, their titles and company name, and provides a way to attach a picture of the receipt or online transaction directly to the actual expense. This service neatly and easily organizes the data into a very easy-to-read expense report, which can be reviewed, downloaded, emailed or saved accordingly. GeekWire’s “Young Entreprenuer of the Year” Award Winner, Gravity Payments CEO Dan Price, offers an online payment solution that not only reduces your credit card costs, but also gives 10 percent back to well-established charities. The company offers many payment systems, including mobile solutions, credit card terminals and POS systems. If you’re not a bricks and mortar small business, but conduct your business at street fairs, festivals, farmers markets, on food trucks, or even at special events, always taking payments on the go, you would benefit from using Square Up. The service allows small business owners to collect payments by credit or debit. The new TOMS flagship store in Venice, Calif. utilizes LightSpeed.com, which includes an inventory management system, accounts receivable, customer tracking, purchase order management, service repair order tracking, and more, all in one. It’s always wise to educate yourself on the financial management programs recommended by industry professionals and other entrepreneurs. But try them out yourself, too. Creating systems for your business isn’t a one-size-fits-all endeavor. The information you glean from your business expense reports will give you the tools necessary to negotiate with key vendors for better rates and create company-wide policies to better save money and define your company’s spending habits across the board. Financial management is one of the keys to your success. Use it wisely.